All that you need for this workshop is a square bit of paper! 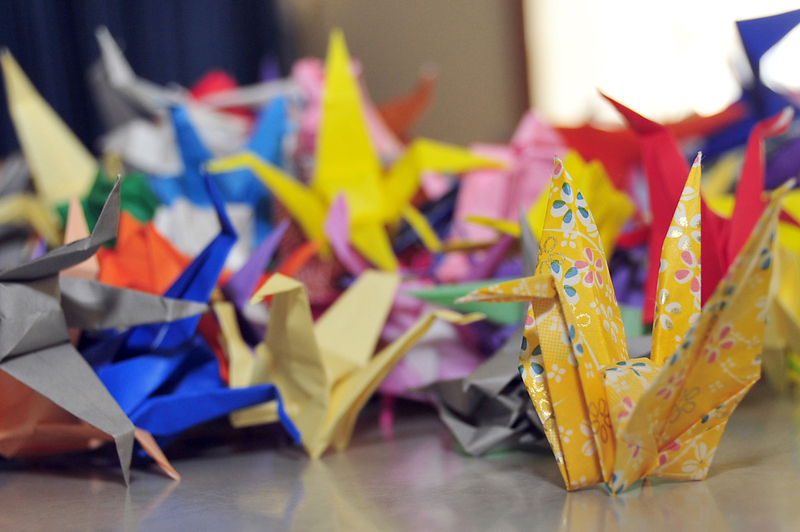 Origami Cranes come in all colours and sizes, so it doesn’t really matter what type of paper you use. They take a bit of time (and a lot of patience!!! ), but are a great way to chill out for a while. Good luck! Step 6. Turn over and repeat steps 3 & 4. Want more craft tutorials or to share your own projects? Sign up to join the Livewire community!